Vivid Sydney, Fuzzy, Carriageworks, Rose Avenue and Leisurely are very excited to present RÜFÜS DU SOL live in Sydney, as part of Vivid Sydney, the largest festival of light, music and ideas in the Southern Hemisphere. These will be the only live performances in Australia on this mid-year visit home for the band. It follows a sold-out national tour in front of 70,000 fans and much anticipated Coachella and Lollapalooza South America festival appearances. Vivid Music curator Stephen Ferris said RÜFÜS DU SOL was an exciting addition to the festival line-up and for the iconic Carriageworks. “There’s no doubt that RÜFÜS DU SOL is one of the world’s most exciting and innovative acts of today. Their bold approach to electronic music and broad, cross-generational appeal will make their shows among the most popular of the 2019 program,” he said. 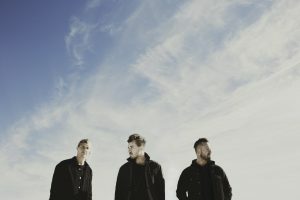 The ARIA winning Australian three-piece won the world over with two platinum-certified albums, ATLAS and Bloom, and their third album, Solace, cementing them as a one of the world’s preeminent live electronic acts. Now based in Los Angeles, RÜFÜS DU SOL has a distinctive sound that blends infectious songwriting with delectable deep house grooves. City into a colourful creative canvas from the 24 May to 15 June 2019. The Festival features spectacular large scale light installations and projections; contemporary and cutting-edge music performances and collaborations; public talks by renowned thought leaders, industry seminars, conferences and creativity workshops, all celebrating Sydney’s place as the creative industries hub of the Asia-Pacific. Vivid Sydney is owned, managed and produced by Destination NSW, the NSW Government’s tourism and major events agency, and in 2018 attracted 2.25 million attendees. Carriageworks is the largest and most significant contemporary multi-arts centre of its kind in Australia. Engaging artists and audiences with contemporary ideas and issues, Carriageworks presents large-scale immersive programs that are artist-led and emerge from Carriageworks’ commitment to reflecting social and cultural diversity. Carriageworks is a cultural facility of the NSW Government and is supported by Create NSW and the Australian Government through the Australia Council of the Arts. The Artistic Program is ambitious, risk-taking and unrelenting in its support of artists. Carriageworks and Fuzzy have worked together to ensure this event is accessible to all patrons. Limited Accessible parking is available close to the event entry on Carriageworks Way – this will need to be pre-booked and confirmed prior to event day. A total of three (3) accessible toilets are located within the event site. All stages, bars and catering areas are accessible. An accessibility viewing platform is available for accessible patrons and Guest.